Are you running out of space in your kitchen? Too many bowls or cups in your cupboards? 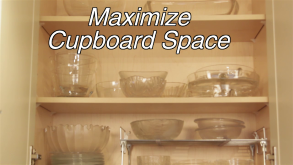 Rachael Kalinksy a professional organizer with Order in the House has some nice tips to maximize cupboard space in your kitchen.